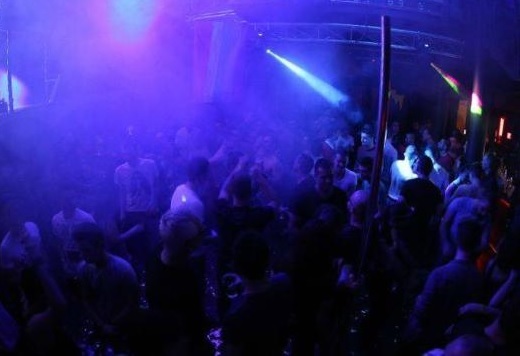 Gay club in Zagreb. For illustrative use only. At least two people have been injured after an unknown assailant threw a tear gas canister during a party for LGBT people in Croatia's capital of Zagreb. Police say an investigation is underway into the incident at a Zagreb night club early Sunday. Local news reports say people inside the club fled in panic, storming the exit and breaking windows to get out. A witness tells the Croatian newspaper, Vecernji List Daily that he was trampled during a rush for the stairs. Croatian gay rights groups are describing the attack as an "act of hate violence." The Zagreb Pride group says in a statement that Croatia's conservative government has turned a blind eye to a recent surge in right-wing sentiment in the European Union's newest member state.